We're Capital Signs, and we're here to equip your business with attractive, eye-catching signage that will increase your customers and sales. We've been in the sign business for three decades, offering people like you the signs they need to make their voice heard; but where did it all begin? 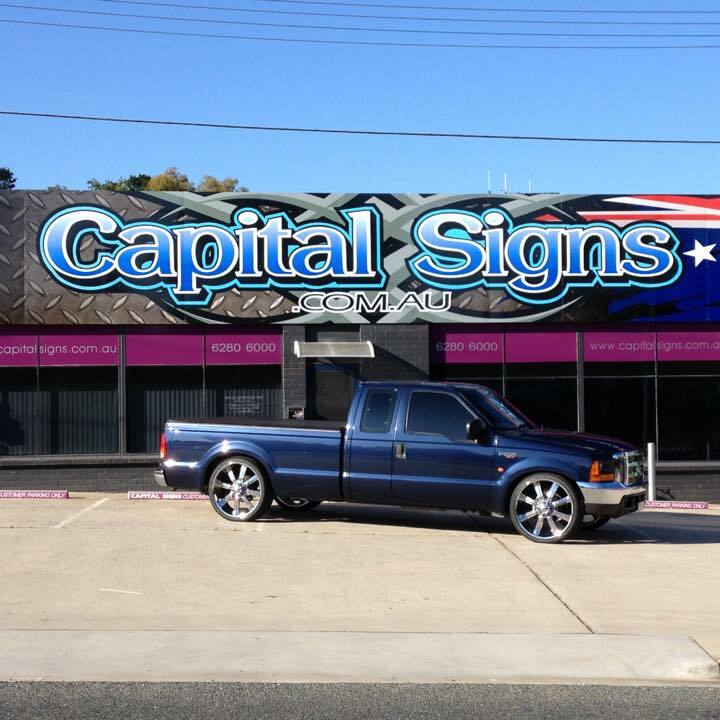 Capital Signs was established in 1975 in Canberra, and since then three generations have provided customers with all the signage services they need. Being a family owned and operated business, you can trust that the service we provide is friendly and knowledgeable, with your best interests at heart. We have proven expertise in meeting all internal and external sign requirements. This can be seen from our testimonials and established client base, which includes small businesses, the government, real estate agencies, restaurant owners, and construction companies. From our base in Canberra, we offer an extensive range of signage services, and we can take care of the entire process of making your signs, from concept design to installation. Whatever kind of sign you're after, and whatever kind of business you have, Capital Signs can produce what you're looking for. If you're a shop, cafe or restaurant owner, you may be interested in our shop front or A-frame signs. If you're in the transport business, a trailer sign or boat sign could be just what you're seeking. But we also offer lightboxes, internal signs and a whole lot more besides, so whatever kind of signage you need, Capital Signs will be able to help. Our team of highly skilled designers uses the very latest print and design technology to meet your requirements. You can rest assured that the signs we make for you will be of the highest quality, having been made with the most efficient and modern printing technology and processes available. What's more, we always do our utmost to ensure you have your signs in the quickest time possible and well within your budget. At Capital Signs, we offer a top quality and personal service to suit your needs and budget. If you have any questions or would like to receive a customised quote, get in touch with our friendly team today. Simply call (02) 6280 6000 at a time that's convenient for you, or fill out an online enquiry form. Vehicle, van, Ute and truck signs. Pull-up banners and frosted film stickers. Banners, magnetic and corflute signs. Menu boards and sign writing.